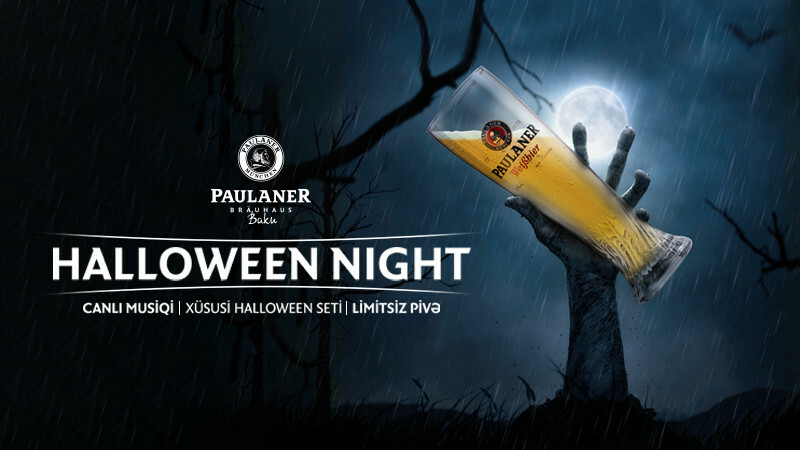 Halloween Night in Paulaner Baku buy tickets online. Delivery of tickets for the event Halloween Night. "Halloween night" party is coming! We prepared a live music program, special Halloween sets and unlimited beer for you. Join us on 31st of October at 20:00. The ticket includes - beer in unlimited quantities, a special set consisting of snacks (canapes, tartlets and snacks for beer). Ticket holders will be able to participate in a special lottery from the restaurant. The program starts at 20:00. Guests are waiting for performances of the music band, DJ as well as contests and lottery, which will be conducted by the presenter.